With a focus on farmers, Syngenta grows NK organization to deliver a better seeds experience. 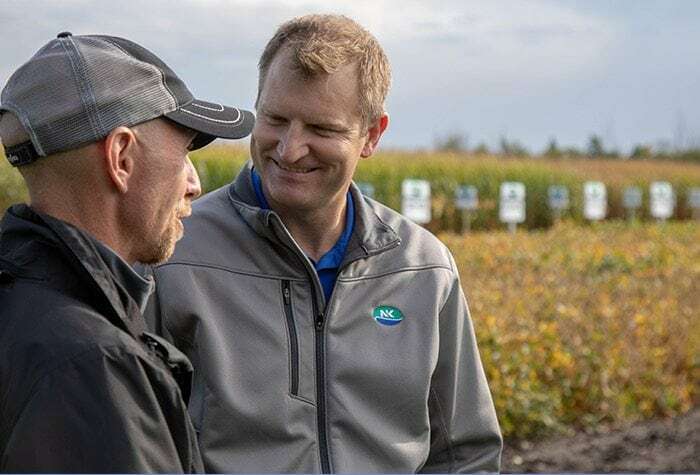 Mike Tollefson (left), soybean product selection lead at Syngenta, and Quinn Showalter, head of NK sales, discuss the success of the NK seed brand in 2018 at a Grow More Experience site in Glyndon, Minnesota. Syngenta is bucking the trend of industry consolidation and reporting significant growth across the NK organization—from the lab to the field. The combined NK sales and agronomy team is tripling in size. The number of U.S. plant breeders is increasing by 50 percent and product trials by 30 percent. The number of new corn chassis is going up by 58 percent.